Ransomware incidents are headline news these days, pushing Security Services and Business Disaster Recovery to front of mind for many companies. While press coverage has focused on the highest profile victims – the UK’s NHS, Deutsche Bahn, FedEx, Russia’s Ministry of the Interior, Renault, Telefónica and China National Petroleum Corp – it is thought that more than 1.3m computer systems remain vulnerable to infection by WannaCry. Despite the hype, its not just bad code, it’s bad malware. Our Ransomware 16 Point TODO list is a must to highlight additional measures you should review to increase your security posture. 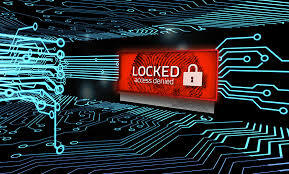 To provide our customers, peace of mind, Pegasus Technology has developed a Ransomware Technology Review for Office Managers and Business Small Owners at $295 ex GST.